Select a default or custom connector action that you want the connector group to use. 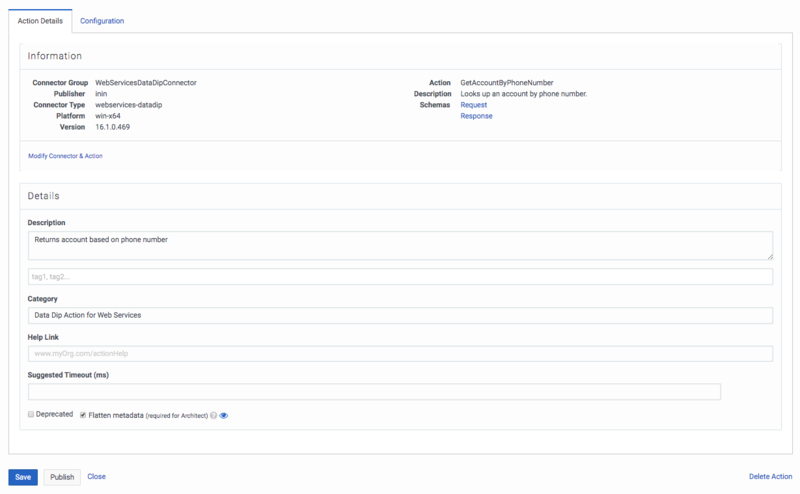 The example uses the default connector action GetAccountByPhoneNumber. The names of the objects of the properties (Code in the example Request Schema) appear under Inputs in your call flow in Architect. type Object type. Supports all JSON types, except object, null, and nested arrays.